Hello birthday. Hello to the last lazy afternoons and plane rides. Hello golden afternoons and ever-so-slightly-earlier sunsets. To be perfectly honest, this new month snuck up on me. Here I was thinking that summer was just beginning– I had finally learned to take advantage of my weekends and enjoy the season. I learned that I could make it to the pool for an hour after work, or hike in the hills in the afternoon sun. Take a picnic to the local park and enjoy the sunshine and warmth. Have lunch on the lawn. Count on it being light outside until nearly 9 PM. Eat tomatoes and corn and berries for an afternoon snack, because all of the produce is perfectly ripe and sweet this time of year. And suddenly, it’s August. Back-to-school season, and nearly Fall semester. I’m going spend another month or two pretending that summer will never end. One thing you should definitely do this month, before berry season is over? 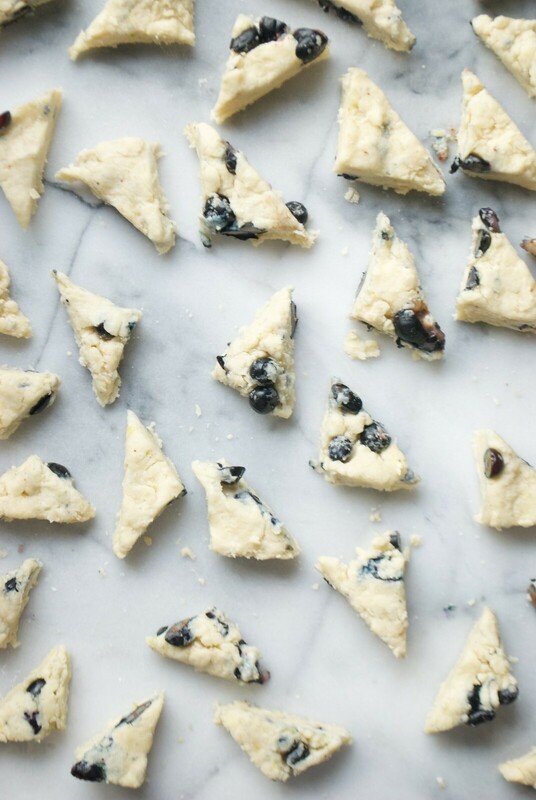 Make these scones. Make these scones, a blackberry pie or two, strawberry shortcakes, and peach-berry-basil cobblers. But begin with these scones. 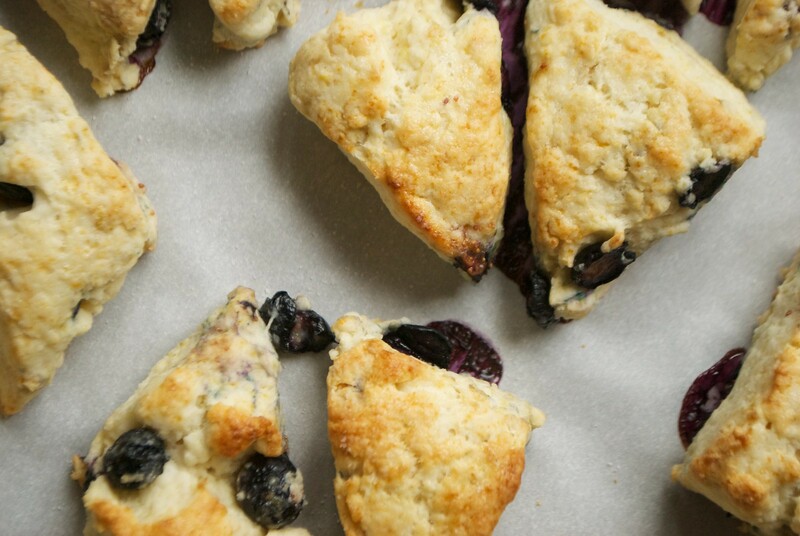 These tiny cream scones are incredibly easy to make. 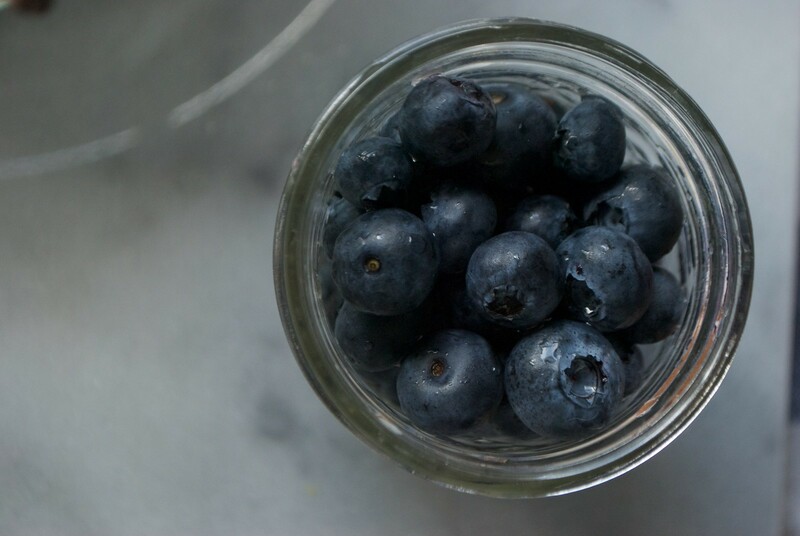 You just whisk together your dry ingredients, stir in your cream, and add the best blueberries you can find. There’s not much more to it. And, especially for being one of the simplest things to come out of your oven, these little scones are delightful. Light, tender, just dense enough. Bite-sized. Bursting with berry flavor, the baked and concentrated juice sometimes running down the sides, sticky and sweet. Golden brown on top and just a little crisp around the edges. Eat these straight out of the oven or on the same day as you bake them for the best texture. If you need to store these overnight, an airtight container at room temperature will do. But if you can? Always go for fresh scones.